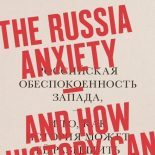 Would you trust a historian to get it right about Ukraine? After all, historians often get lost on the path of current events and fail to make predictions. They disagree confusingly with each other about historiographical arcana, so they’re unlikely to offer an easy guide for policymakers about one of the most intractable of international disputes. Perhaps there are good reasons why historians are usually confined to the ivory tower, arguing among themselves about who gets the best office. But there is plainly something lacking in the UK’s knowledge of Ukraine and Russia, as the House of Lords pointed out last week in a lucid report about relations between the EU and Russia. Can historians plug the gap? Or should they be ushered quietly out of harm’s way? ‘There has been a decline in [European Union] Member States’ analytical capacity on Russia,’ the report proclaims. It admonishes governments: ‘Member States need to rebuild their former skills.’ More catchily, it suggests that the EU has found itself ‘”sleep-walking” into the current crisis’. One can see the point. Policymaking plainly lacks strategy. The tone of speeches is unfortunate, even dangerous. So how does one rebuild analytical capacity? It already exists in British universities, where substantial and important research is conducted on the politics, sociology, history, literatures, and languages of the region. Government can make use of accessible versions of this work. Initiatives such as History and Policy attempt to make all aspects of British government policymaking more historically informed, and institutions such as the School of Slavonic and East European Studies (SSEES) at University College London have a long tradition of providing knowledge and analysis for policymakers. But History and Policy is not really focused on foreign affairs. Perhaps some of the older channels between the academy and government have silted up. As a result, knowledge of Russia in the EU comes increasingly from Poland and the Baltic States (the House of Lords report suggests). Naturally enough, those countries have their own perspectives and agendas, which, naturally enough, should not always be identical to Britain’s. History, especially, is the route to better policy. But equipping policymakers with historical knowledge is not just a matter of parachuting scraps of analysis into government departments. It’s a matter of educating policymakers differently. This is a challenge for the medium term, requiring better degree programmes with closer connections between modern languages and history, and much greater support for language teaching in schools. This entry was posted on February 25, 2015 by beyondthekremlin in Russia past and present and tagged Britain and Russia, Russia-and-the-West.